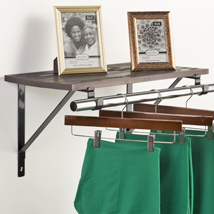 Create a clean and simple shelving with our newly designed wall shelf bracket. 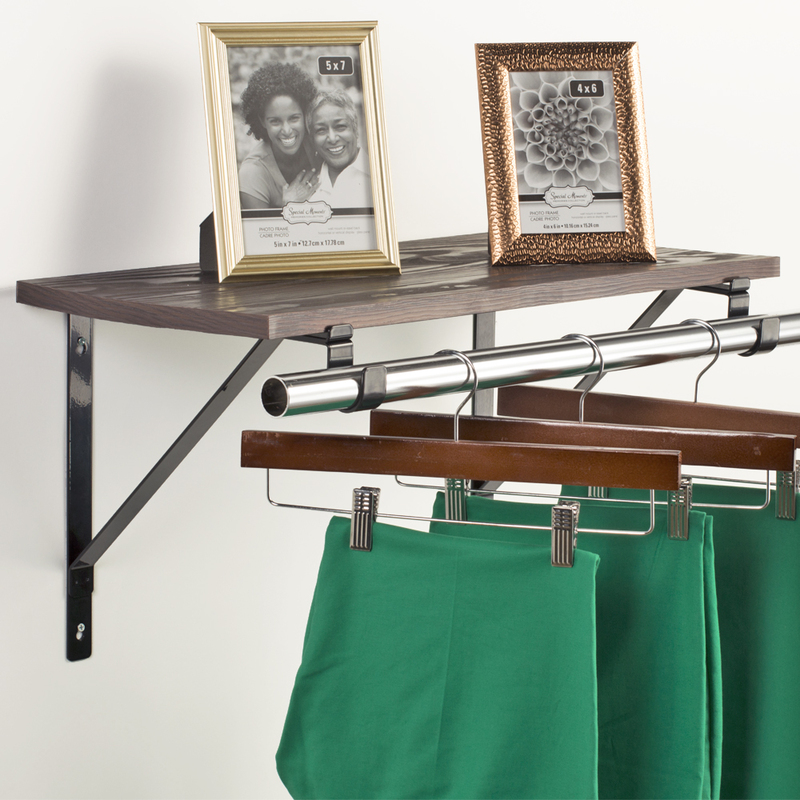 Built-in hangrail support lets you display clothing products with ease. Welded support keeps brackets at a 90 degree angle for greatest holding capacity. 2 screw-in holes mount to underside of shelf and wall. Works with our 12 in. wide wood shelves in any styles. Works with round hangrails up to 1.5 in. diameter. Bracket sold per piece, we suggest using 2 brackets for 24 in. long shelf and 3 brackets for 48 in. long shelf for extra support.